Our goal here at seaofchi.com is to always provide the best quality Chinese herbs that are preservative free, fresh, and of the highest quality. Our herbs originate from China we purchase from trustworthy suppliers and sources who we have dealt with for more than 20 years who we know maintain the highest standards. We trust our suppliers and know that you can trust us to provide only the best. 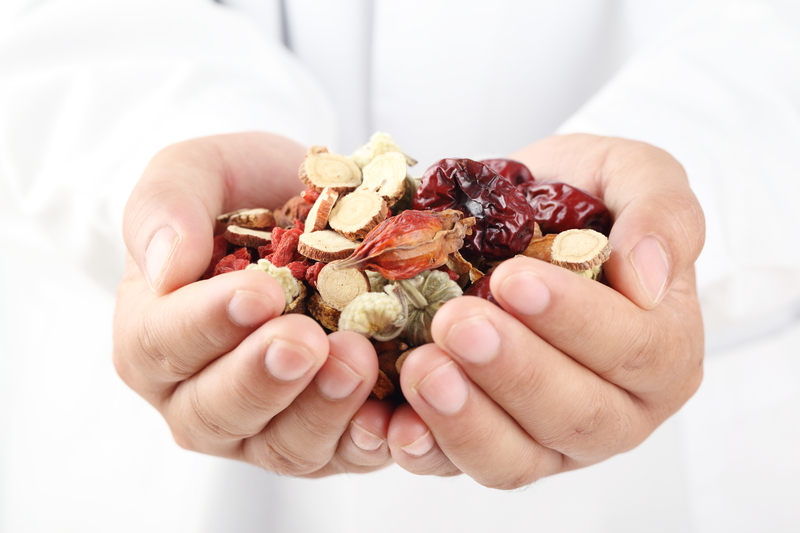 Most of our Chinese herbs are sold by the pound with a few exceptions. You’ll find that some Korean Ginseng/Ren Shen is sold in a catty (which is slightly more than one pound), Ge Jie is sold two per package, Wild-grown Korean Ginseng is sold by the root, and Lu Rong is sold sliced by the ounce, etc. The prices of the more rare Chinese herbs constantly fluctuate in the high end herb market; this can be due to weather changes in China which affect the growth of herbs. If you are purchasing "rare" or "hard to find" herbs we always recommend that you check with us prior to purchase to confirm pricing. We keep over 600 different herbs in stock, far too many to list here; if you do not see the herb you want contact us to confirm availability and the current price per pound. This herb is sold by the pound and is available in the raw herb form or powdered. Please use t.. This raw Chinese herb is sold by the pound in either raw or powdered form. Please use the above.. These good quality American Ginseng Roots are rated “A” and are sold by the half-pound or .. These are the best quality American Ginseng Roots — rated “AA”— and sold by the .. This raw Chinese herb is sold by the pound in either raw or powdered form. Please use the above "add.. This raw Chinese herb is sold by the pound in either raw, gingered and/or powdered form. Ban Xi.. This raw Chinese herb is sold by the pound in either raw, chao (prepared) or powdered form. Please u.. This raw Chinese herb is sold by the pound, you can select by grade (quality level) a..
Chen Xiang or Aquilaria/Chinese eaglewood a species of plant in the Thymelaeaceae family is endemic .. These are the best quality Chinese Ginseng Roots from the Jilin (aka Kirin) Region of China.. These are the best quality Chinese Ginseng Roots from the Jilin (aka Kirin) Region of China.&nb.. This raw Chinese herb is sold by the pound in either raw, sliced, or powdered form. Please use the a.. This herb is sold by the pound in either (Hong) Red Dates or (Hei) Black Dates. When purc.. This raw Chinese herb is sliced and sold by the pound in either raw or powdered form. Please use the..
Du Zhong is available in two different grades - either in large-sized bark for $20.00 extra&nbs.. This raw Chinese herb is sold by the pound. It is not available powdered. 海石, 海浮石 Pinyin name:.. This raw Chinese herb is sold by the pound in either raw or powdered form. The herb Fu Lin.. This herb is sold by the pair (one male and one female); the price listed above is for one pair.. This large-sized raw Chinese herb is sold by the pound in either raw or powdered form. Please us.. This raw Chinese herb is sold by the pound in either raw or powdered form. Please use the above .. This raw Chinese herb is available in two forms, either chao (prepared) or raw (untreated). ..